Each year, Wilson invites a limited number of educators to train for one full year as Wilson Reading System® (WRS) Trainer Interns. To be eligible, individuals must have completed WRS Level I Certification and WRS Level II Certification, along with other prerequisites described below. 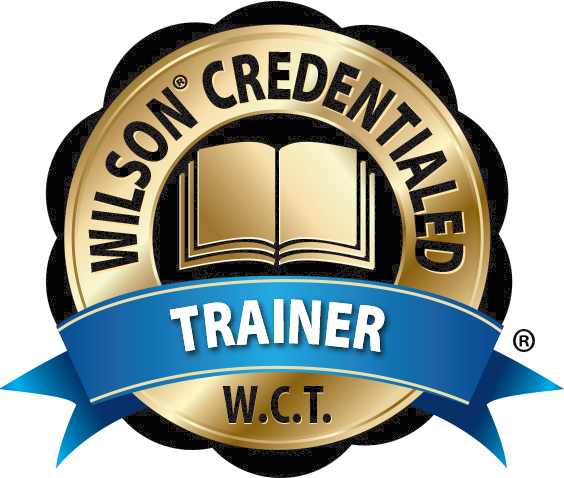 Individuals who successfully complete the internship become Wilson® Credentialed Trainers (W.C.T. ), who are then able to conduct and supervise WRS programs as part of their job responsibilities. The school district must commit to having a COMPASS Plan in place for the internship year. To support the internship, the district must also assign 6 to 10 participants to the WRS Level I Certification program for the upcoming school year. When selecting a candidate to become an intern, the school district must be cognizant of the ongoing roles and responsibilities of that individual after completing their internship. An intern must be a salaried school district staff member (3/4 or full time) with designated time in their work schedule to support teachers. Salaried school district staff member (3/4 or full time). Successful completion of WRS Certification through Level II and a current Wilson® Dyslexia Therapist credential. Experience teaching the Wilson Reading System for at least two years after achieving Level II Certification (preferred) or at least four years after achieving Level I Certification. Ample experience using WRS with students outside the practicum will be considered. Experience teaching WRS to varying age groups and grade levels. Master’s degree in education or related field. Substantial background and experience in education. Proficiency with Wilson® programs and demonstrated expertise with multisensory language teaching. The personality and character needed for instructing, guiding, and mentoring adults. Commitment to supporting fidelity/sustainability of Wilson programs within the district for the coming years. History of attendance at the Wilson Conference for Certified Teachers (preferred). Trainer recommendation also plays an important role in the selection of Interns. Attend initial intern development session during the summer in Oxford, MA (dates determined annually). Observe WRS Level I Training Start-Up Workshop. Conduct practicum observations and provide support for a minimum of 4 participants out of the 6 to 10 enrolled in WRS Level I Certification. Assist trainer with facilitating five Implementation Meetings. Attend second intern development session during the winter time frame in Oxford, MA (dates determined annually). Observe the delivery of a WRS Introductory Course and participate in a web conference with a Wilson Fidelity Team member. (optional) Observe a WRS Advanced Strategies for MSL Group Instruction Workshop (site or district) and participate in a web conference with a Wilson Fidelity Team member. Obtain satisfactory evaluation from the supervising Wilson® Credentialed Trainer and submit required paperwork to Wilson Language Training. After successful completion of requirements, the intern becomes a Wilson® Credentialed Trainer (W.C.T) with the expertise to guide and support WRS implementation in their district. This professional designation, including the initials W.C.T., can be used according to Wilson Language Training’s policies for as long as the credential is active and maintained. With additional professional learning, a Wilson® Credentialed Trainer can conduct WRS Level II Certification professional learning. Wilson Trainers must maintain their credentials yearly as defined by Wilson Language Training®. They are required to attend the Wilson Trainer Meeting every other year to expand their knowledge about important topics in the field and continue their professional growth. In addition, Wilson® Credentialed Trainers need to complete training for any substantial program updates before conducting an event, stay current in the field of reading disabilities, and annually agree to the Wilson® Training Code of Ethics.